BlizzCon 2014 is just a couple of days away! Blizzard's big convention is nearing the start, and will bring a slew of news about the company's games. 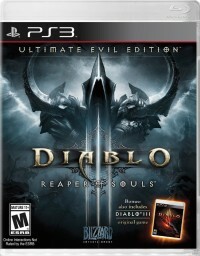 We have more info about what the Diablo III developers will be talking about, and when. Apart from the two primary panels, there will be the Legendary Workshop to design a Legendary power, and a meet & greet with game designers Wyatt Cheng and Travis Day. 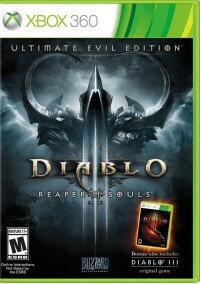 There will also be multiple interviews with members of the Diablo III team. 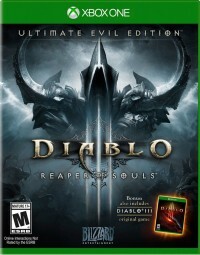 Here at Diablo Somepage we will be covering all the Diablo fun at the show. Check out the official overview of Diablo-related events. Just as the Angel of Death descends upon Westmarch, the time has come once more for the Blizzard community to take the Anaheim Convention Center by storm! 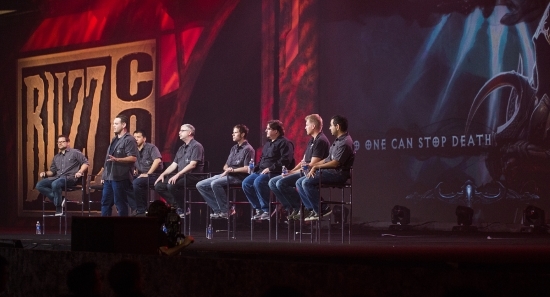 If you're planning on joining us live at the event or simply tuning in to celebrate in spirit, here's what you can expect when it comes to all things Diablo for BlizzCon 2014. Chomping at the bit to know what we're working on? We've got two panels this weekend that offer an inside look at our design process and will give you a taste of what's to come! What: Get a first look at some of the features and concepts we're working on for future Diablo III patches, including a taste of new loot, upcoming balance changes, and a few . . . mischievous surprises. Led by game director Josh Mosqueira, lead designer Kevin Martens, senior technical designer Wyatt Cheng, and senior game designer Jonny Ebbert, this is a panel Diablo III fans won't want to miss it! What: If items are your passion, this will definitely pique your interest! In Evolving Reaper of Souls, we're taking a retrospective look at the past and how it has impacted the future of item design in Diablo III. Kevin Martens and Josh Mosqueira will be joined by game designer Travis Day to discuss how our philosophies have changed and all the lessons we've learned throughout the development and launch of both Diablo III and Reaper of Souls. Not to mention, we'll also be revealing some upcoming Legendary and Set items! Check out the full panel schedule here for more information. Don't Forget the Legendary Workshop! But that's not all! As an added bonus for our Evolving Reaper of Souls panel, we're bringing a few lucky attendees on stage during the panel on Saturday to jam on item design live from BlizzCon, developing our second-ever community Legendary. 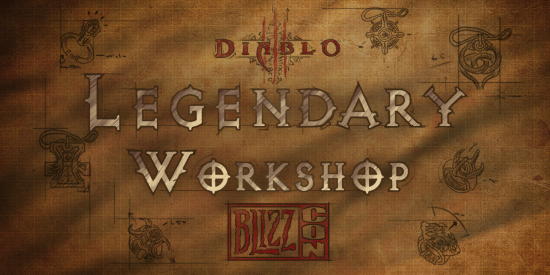 Whether you're attending or not, be sure to check out our Legendary Workshop blog for more information if you'd like to submit an idea. When you're not checking out one of our BlizzCon panels, new game demos, or exciting eSports tournaments, be sure to stop by the Community Corner! Located between halls B and C of the Anaheim Convention Center, the Community Corner is the perfect spot to meet and hang out with developers, community mangers, and fellow attendees alike. 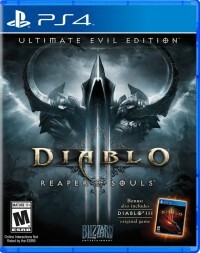 Following the "Diablo III - What's Next?" panel in Hall A on Friday, game designers Wyatt Cheng and Travis Day will be swinging by the Community Corner to answer player questions, talk shop, and discuss your ideas for the Legendary Workshop. Join us and say hello! Whether you're on your way to Anaheim or tuning in from the comfort of your personal Sanctuary, there are plenty of ways to keep tabs on the news and excitement from BlizzCon! We’ll be covering the event on our social channels, so if you want to follow along with updates straight from the show floor, be sure to Like and Follow us on Facebook and Twitter. Of course, if you want the news straight from the Goatman's mouth (sorry, Grimiku), then you should definitely snag a Virtual Ticket. Not only will you be able to watch the events as they happen, but you’ll have on-demand access to our full suite of panel stages as well as the best seats in the house for our contests—and the closing concert featuring Metallica! This direct coverage comes with a digital goodie bag that’s simply to die for, so head over to our BlizzCon site for all the details. 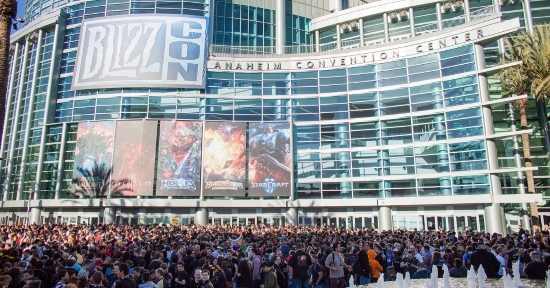 We are beyond stoked for this year's BlizzCon, and we hope you are too! What are you looking forward to most this year? Will you be meeting us on the show floor? Let us know in the comments section, and get ready. . . .